Across the UK there are 200 fewer regional and local newspapers now than in 2005. Year on year sales are in rapid, inexorable decline. The root cause is that the business model that once made the press so profitable is broken beyond repair. What made newspapers great was that they combined news, opinion and advertising into one compelling package which sold itself every day. And as they evolved they created content that both appealed to readers and drew in advertising: motor sections, fashion, food, property and the like. This model has been shattered, forever. Today there are many niche websites online catering for car buyers, fashinistas, house buyers and every other conceivable interest in far greater depth than a newspaper ever could. The advertising has gone with them. News is now a 24/7 business and by the time a newspaper is published much of what it has to relay has already been told. And as for opinions, they have proliferated to the point where anyone with an opinion about anything can join any debate. Newspapers have responded to this onslaught in the only way they can – by cutting cost. This means laying off staff and reducing content. It will not be long before printing papers no longer makes economic sense. Some analysts suggest this is only a few years away. Meanwhile the migration to digital has increased the reach of papers but not their revenue. Paywalls have had some limited impact for more specialised publications and national media, but the evidence for them working for local media is scant. The march of digital has been mirrored by a spectacular growth in digital advertising revenue. Digital ad revenues in the United States grew by $2.7 billion in the first quarter of 2016 alone, compared with a year earlier. Yet of that, $1.4 billion went to Google, $1 billion to Facebook — and just $300 million to everybody else. American analysts call this a form of “Vulture economics”. Two global giants are sucking up the vast majority of revenue that news outlets, who provide the material they profit from, depend upon for quality journalism. This also applies to newer digital news organisations. Outlets like BuzzFeed and Vice are falling short of revenue targets and are unable to fill the gap. The long and short of it is that whilst views on current affairs are in increasing, the facts to base them on are in shorter supply. Investigative journalism is being reduced, specialist reporters covering “beats” are disappearing. 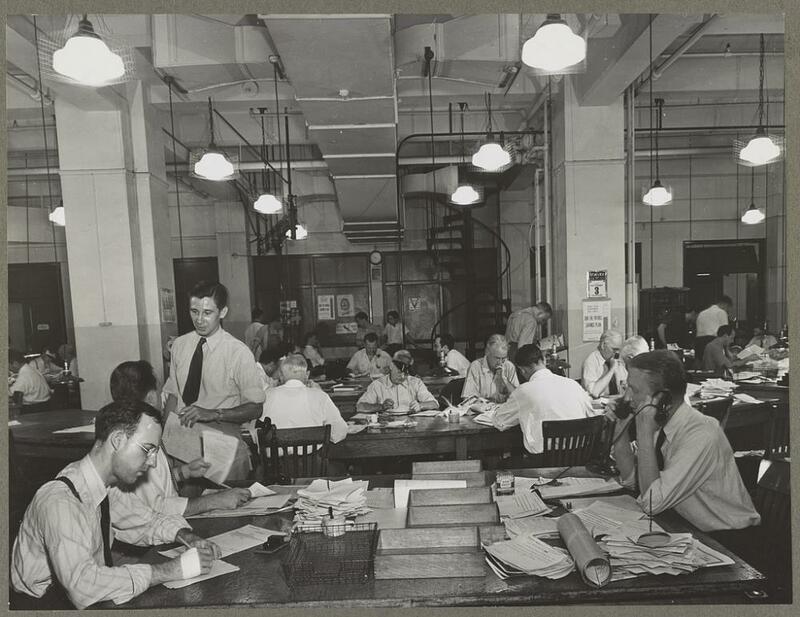 Reporters are increasingly in offices rather than being out and about gathering news. And as the decline continues reportage of “civic affairs” dries up. Local newspaper story counts have dropped by as much as 80% in the past decade. We are getting less and less coverage of public bodies, of courts and councils, the conduct of public officials. So whilst dissemination of news has never been more efficient, its depth and quality is diminishing. As newspapers continue to close this can mean that entire areas do not get the independent scrutiny that they should. The sad fact is that the responsible coverage of such matters is no longer profitable. It is not click bait. News is a relentless, 24/7 business. It costs money and has to be paid for. Yet news outlets are starved of the revenues they need to survive. It gets worse. Although the big tech companies are making a fortune from content they refuse to see themselves as publishers, subject to the rigours of providing “balance” and verification of stories. Furthermore it is they who control what we see on social media. We are in an era where real news has to compete with fake news and it is hard to tell the two apart. Misrepresentation and manipulation of fact has become a business which can attract large profits and influence elections. And yes, of course, this is a danger to democracy. Some will point out that misrepresentation and manipulation of fact is also a characteristic of much of the traditional tabloid media. And they would be right. There was never a golden age of impartiality. Some will point out that it cannot be a responsibility of government to bail out failing newspapers with failing business models. And they would be right. It’s not so very long ago that the main complaint about them was the monopolistic control of news that they once enjoyed. But what we perhaps can all agree on is that we need to know what is actually going on. News is important. After all if we are to be in a position to hold our public figures and public bodies to account we need the information to be able to do so. Without that we are in the dark. This crisis in news is an important global debate. We need to look at how news can be financed without compromising the independence of those who supply it. The Canadian government is ahead of the pack. It has set aside $50 million to help fund local journalism in under-served parts of the country. It is also looking at how news outlets can register as charities as not-for-profit providers of news. It may be too little too late, but it is an encouraging example of the dearth of news feeding into public policy. The report that inspired the investment Shattered Mirror is a must read for all who value news and news gathering.